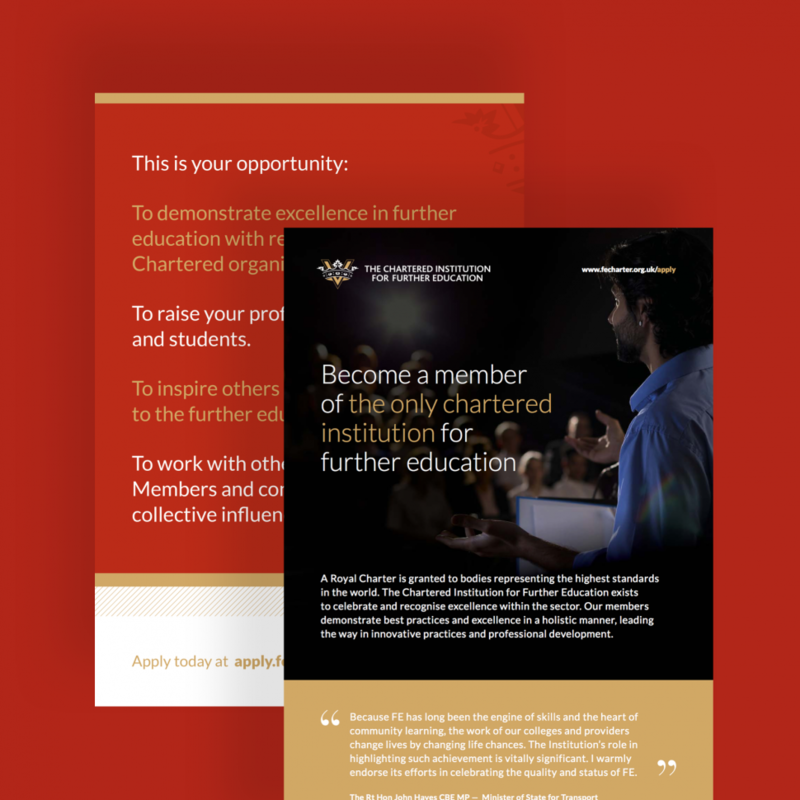 The Chartered Institution for Further Education is a national body that grants membership to quality further education providers and helps connect them with employers. 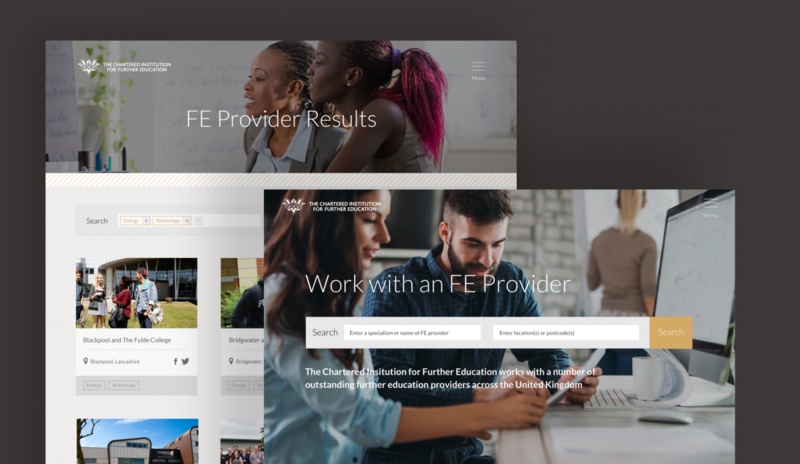 The goal of this project was to create a user experience that allowed FE providers to apply for membership easily. 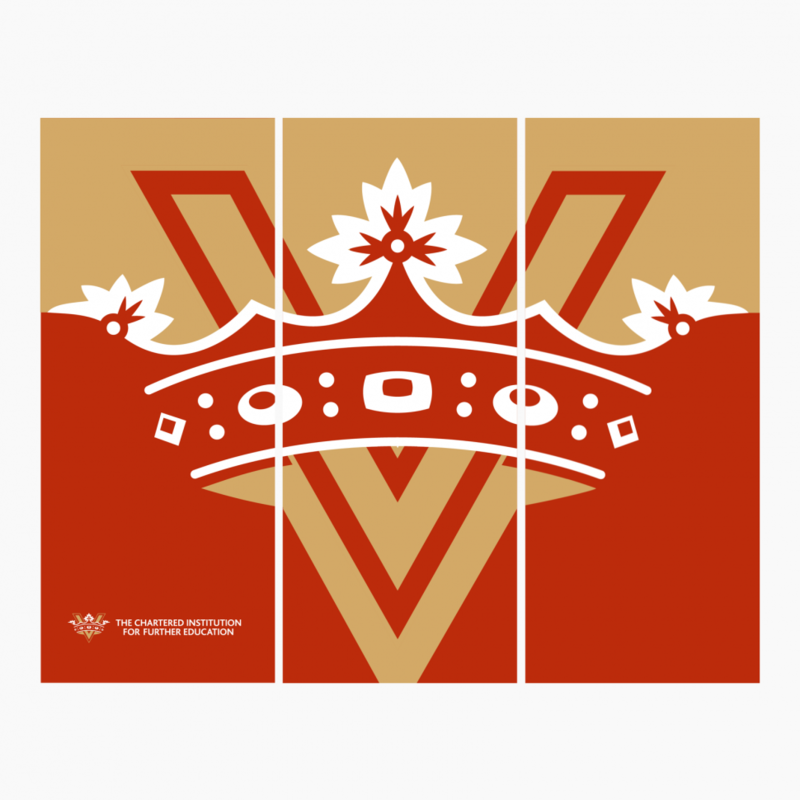 We worked on both positioning and brand tone of voice to achieve the right balance. 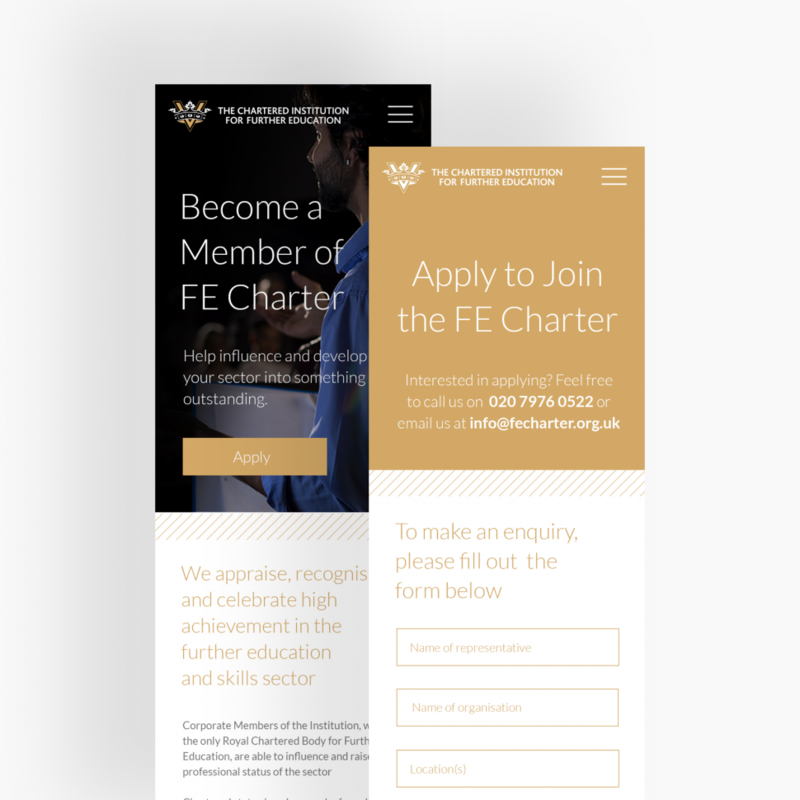 The application process is extensive to ensure that the FE Charter only award membership status to quality FE providers. In order to avoid overwhelming a potentially interested party, we created a very simple application system that obtains very basic level information so that the FE Charter can follow up and then make contact.